Beats • View topic - Beats 1.7a Preview and 250k Downloads! Beats 1.7a Preview and 250k Downloads! 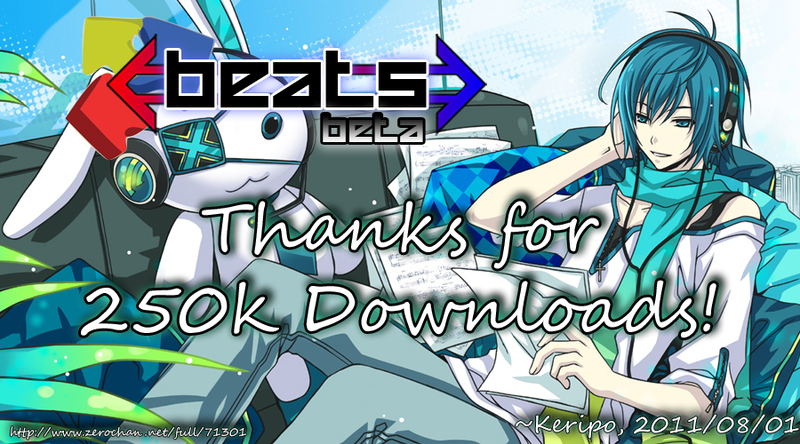 To start off, it seems that sometime earlier this month, Beats hit 250k downloads on the Android Market! (this doesn't include downloads from the Downloads page and other locations of course). So here's the obligatory thank-you picture! Beats 1.7b is planned to be released sometime before September, but you can get the latest development build from the Google groups link below. Make sure to keep check with the Changelog page to see what to expect in Beats 1.7b. Don't forget to visit the Translations page to help make sure Beats 1.7b will be fully translated into your language! Look forward to the next release!